Renaissance castles, breathtaking scenery, art, culture and tons of history. Those are some of the things you will find only a short drive away from the French capital. 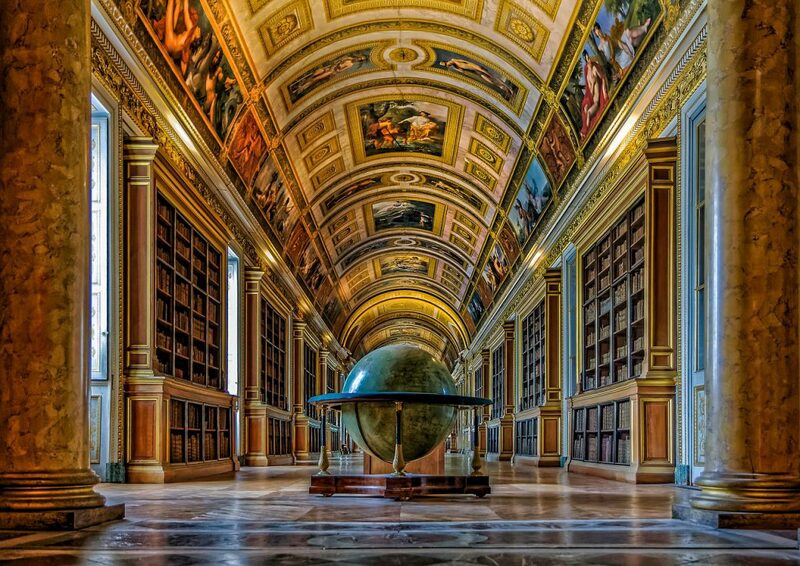 Although most visitors usually stay within city limits trying to discover the hidden spots of Paris, there are lots of options for short city breaks, with many interesting things to see. So, without further ado, here are the 10 best day trips from Paris! Below each destination, you will find practical information about how to get there, as well as opening hours and entrance fees. 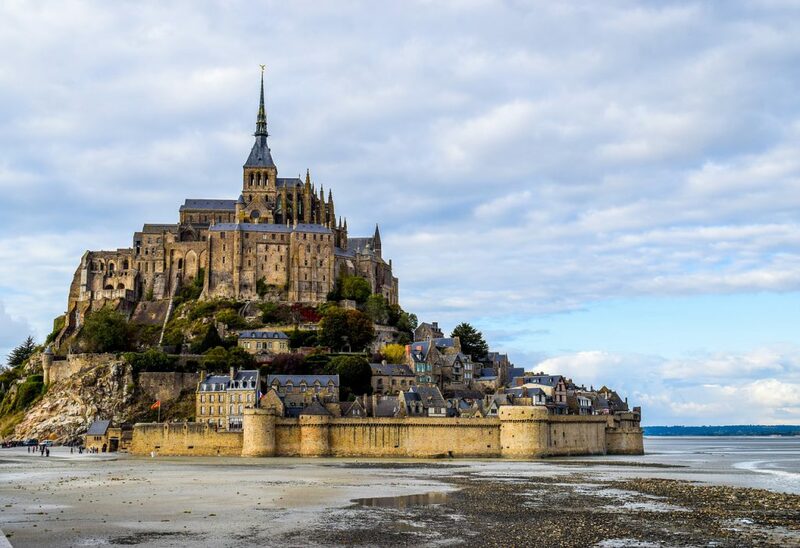 The Mont-Saint-Michel is one of France most visited sites. Built on a rocky islet, the village is surrounded by a majestic bay and is subject to the strongest tides in Europe. More than a touristic site, the Mont-Saint-Michel is also an important place of pilgrimage for Catholics. The first church was built in 709 and another in the 10th century. With time, more and more religious buildings were added as well as fortifications to protect the islet during the Hundred Years’ War. Today, you can visit the Abbey, built from the 11th to the 16th century, and the Parish church from the 15th century, dedicated to Saint Peter. You can also roam around the village and the fortifications. Check out the official website for information on tides and opening hours. The entrance ticket for the Abbey is €10, free for children under 18. How to get there by train: The fastest and easiest option is to take a TGV from Gare Montparnasse to Rennes (2 hours) then a bus (1 hour). You can book the 2 tickets at the same time, online or at the train station. 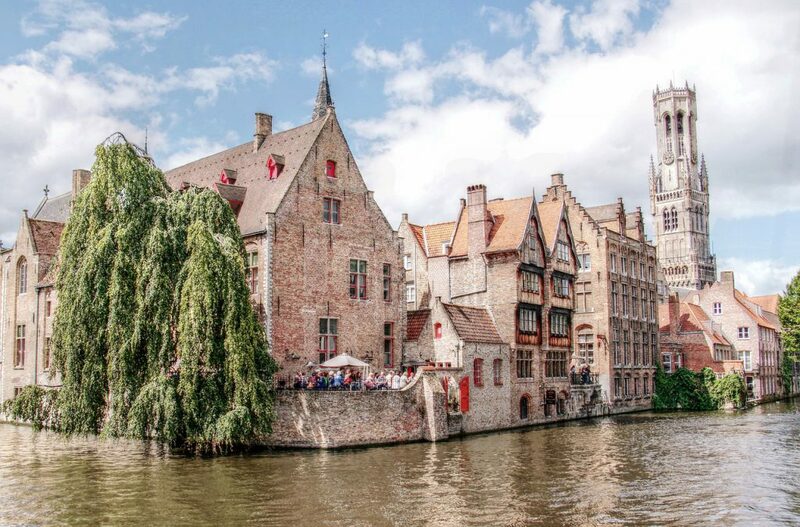 Only two hours and a half away from Paris by train, Bruges, also known as the Northern Venise awaits. Famous for its numerous canals and medieval architecture, this UNESCO World Heritage city is one of the most popular day trips from Paris. From getting lost in its small paved streets to taking a boat tour on the canals, you’ll be enchanted by this unique city. 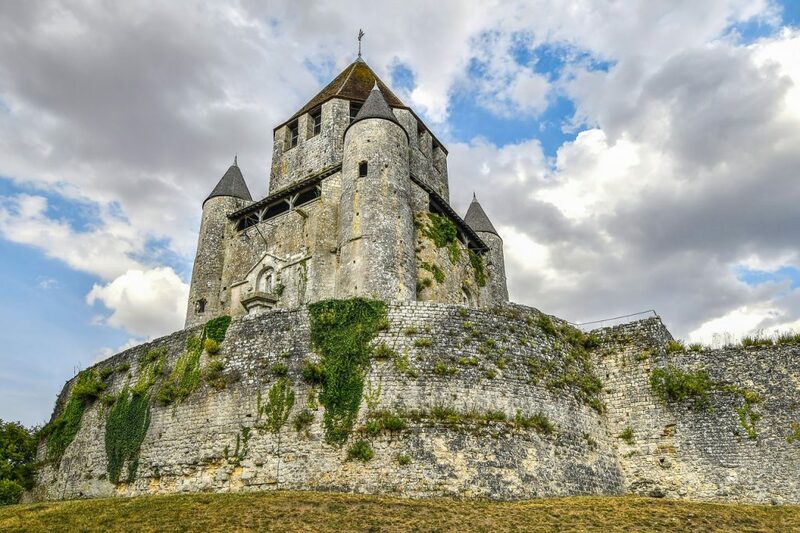 Provins, a UNESCO World Heritage site, used to be an important place of trading during the Middle Ages. Then owned by the Counts of Champagne, the city is the perfect example of a fortified town built to host international fairs. It has been incredibly well preserved, and a day there will feel like traveling back in time. The town organizes frequent events and medieval reconstitution. Check out the schedule here. How to get there: Take the line P from Gare de l’Est to Provins, you can then walk to the historical part or take the shuttle bus. The train ride takes 1hr 20mins. Entrance fee: €11 for a general entrance ticket including all of the sites. The safari: you can ride your car through the park and watch the animals from there. If you don’t have a car, the park offers transportation. Count 1 hour. The zoo: you can walk around the park in glass tunnels, it takes around 3 hours. The park is home to more than 750 animals and is one of the biggest in France. The zoo is actually part of a castle you can visit too. It was built in the 16th century and is owned by the Comte de La Panouse’s family. The entrance fee is included in your ticket for the zoo. How to get there: it will take around one hour to get there, depending on where you are in Paris. You’ll need to take the RER or a TER to Mantes La Jolie, Saint Quentin en Yvelines or Villiers Neauphle Pontchartrain, whichever is closer to you. From there, take the bus 78 that will take you directly to the zoo. 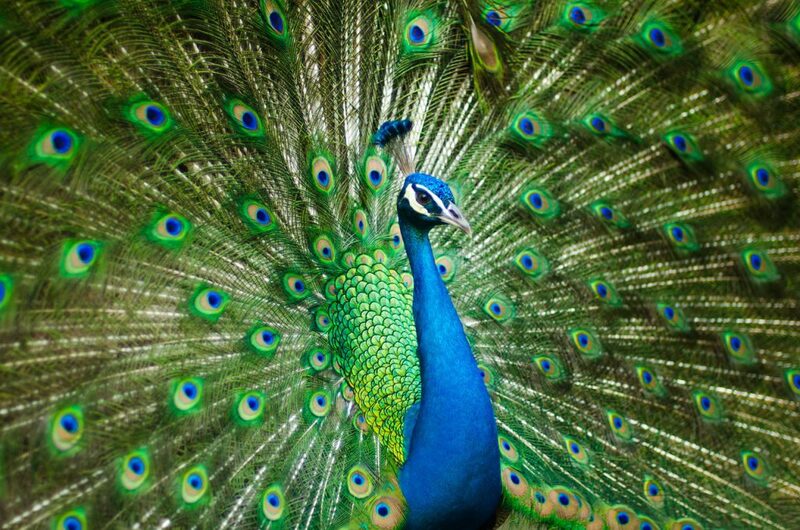 Use this website to get a more accurate itinerary, just add your location and “Parc Zoologique et Château de Thoiry (Zoo), Château de Thoiry, 78770, Thoiry” as the destination. Entrance fee: €29 add 8€ for the safari if you don’t have a car (you’ll need to book your ride in advance). These two magnificent royal castles are a perfect example of Renaissance architecture. Fontainebleau became a royal castle in 1137 and has been extensively modified during the Renaissance. It is now a UNESCO World Heritage Site. Vaux-Le-Vicomte was built in the 17th century and witnessed many historical events. It’s one of the most important private castles in France. Their candlelight tours are a must-do. How to get there: It might be hard to get from one castle to the other without a car, even if they’re close to each other. With public transportation, you’ll have to go through Melun and make around 4 changes. The best option is to take a cab or an Uber. To get to Vaux-le-Vicomte take the line P from Gare de l’Est to Verneuil l’Etang then take the ChâteauBus shuttle. Entrance fee : €12 for Fontainebleau and €16.90 for Vaux-Le-Vicomte. Check out their opening hours here for Fontainebleau and here for Vaux-Le-Vicomte. 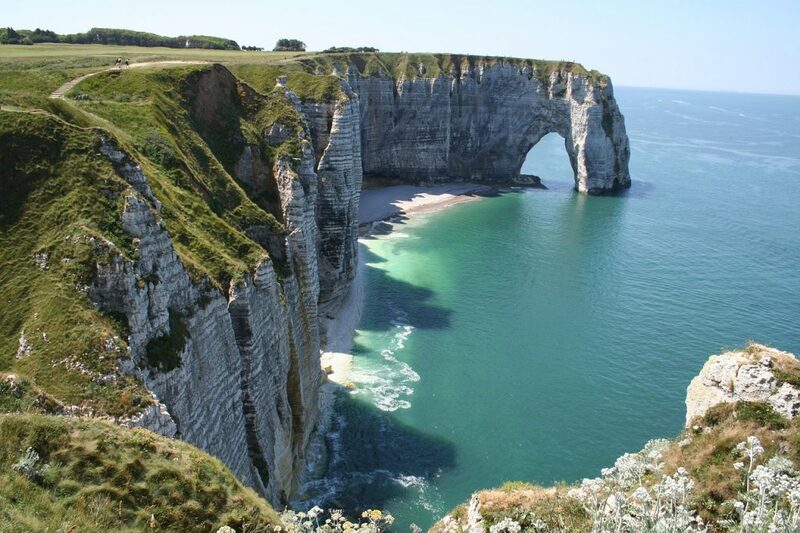 Etretat, a small town on the northern coast of France, is famous for its impressive rock formations and its white cliffs. The landscape there is fantastic and unique. Getting there, you’ll understand why so many artists, especially impressionist painters, were drawn to it. The small village is also worth a stroll, gazing at its small houses and churches, typical of the Norman architecture style. How to get there: From Gare Saint Lazare, take the train to Le Havre, then take the bus 24 to Etrétat. You can also take the train to Bréauté-Beuzeville (from Saint Lazare) and then take the bus 17. Check out the bus schedule here. 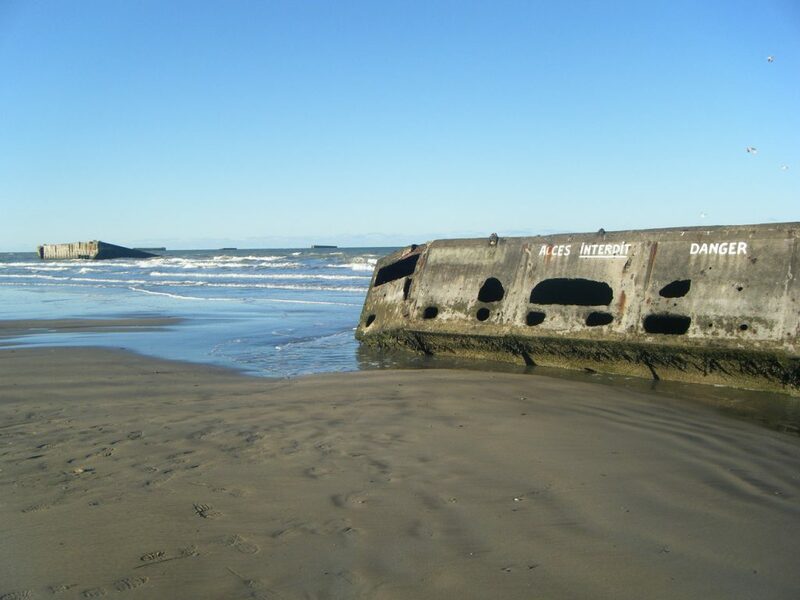 Located in Normandy, these five beaches witnessed one of the most significant military landings in the world’s history. The Allied troops arrived there during WW2 to deliver France from the Nazi occupation. There are several museums you can visit as well as the American cemetery. The beaches are spread on an area of around 90 km, and the views of the coast are spectacular. If you’re there during summer, you can also take a dip in the ocean and enjoy some beach time. How to get there: The closest big city is Caen, you can easily take the train from Gare Saint Lazare to get there, but then it gets complicated because public transportation is scarce. Your best option is to book a tour or rent a car. What would be a trip to France without sampling some wine? There are hundreds of “Route du Vin” in France where you basically take a road trip to visit local vineyards and taste some wine. You’ll find plenty of wine trails near Paris. The closest one would be in Champagne, where around 440 vineyards open their doors to visitors. You can check out the region’s website, where you’ll find the map of the recommended route. 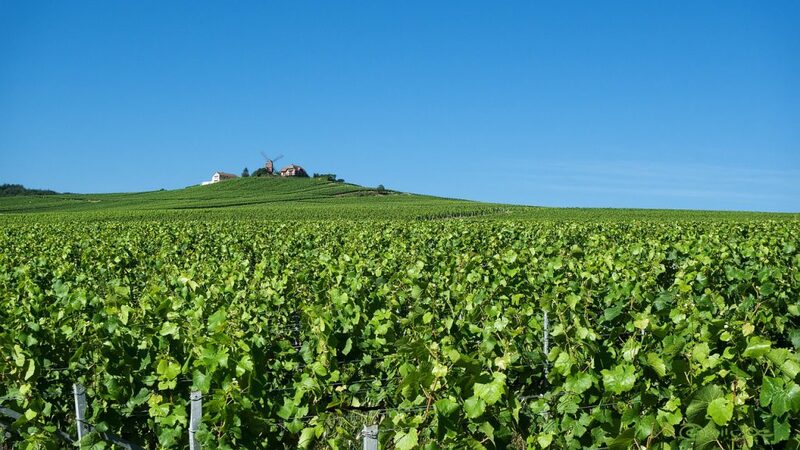 You can also opt for the Grand Crus de Bourgogne wine trail, part of it has a bike trail too. It’s an exhilarating way to discover this beautiful region. Check out the Tourism Office’s website for more information. Giverny is where Monet spent more than 40 years of his life and where he got the inspiration for many of his paintings. His house and garden are open to visitors, and walking around you’ll recognize the scenery form some of his artwork. 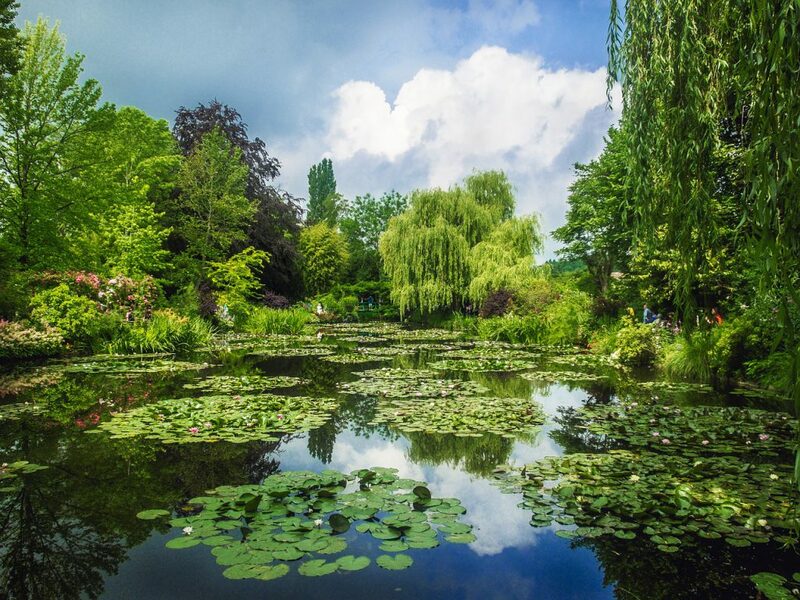 In Giverny, you can also visit the Impressionist Museum and stroll around the village. Entrance fee: €17 for the museum, house, and garden. How to get there: Take the train to Vernon from Gare Saint Lazare (45 minutes) then you can either rent a bike (7 km) or take the shuttle bus to Giverny. 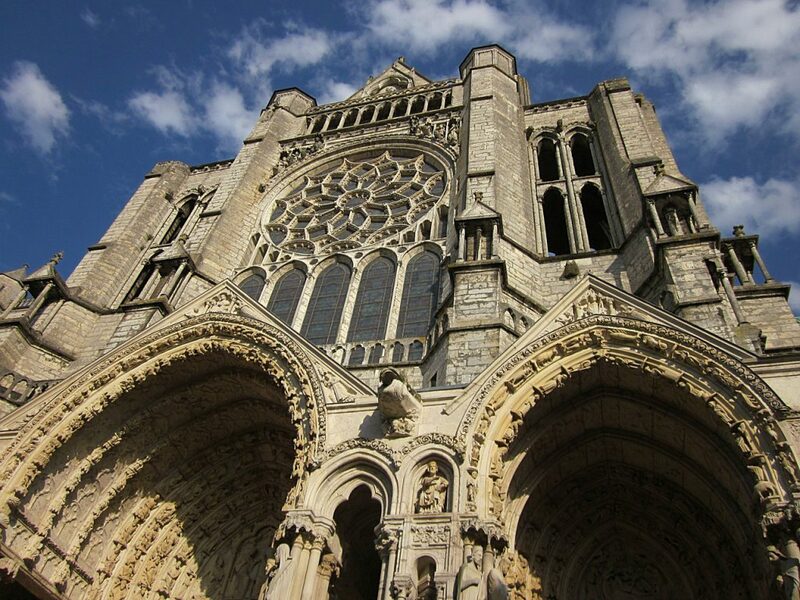 Chartres Cathedral was one of the first monuments to be classified as a UNESCO World Heritage Site. Built during the 13th century on the ruins of a more ancient Romanesque cathedral, the cathedral is considered to be one of the best Gothic cathedrals in France and has always been an important place of pilgrimage. 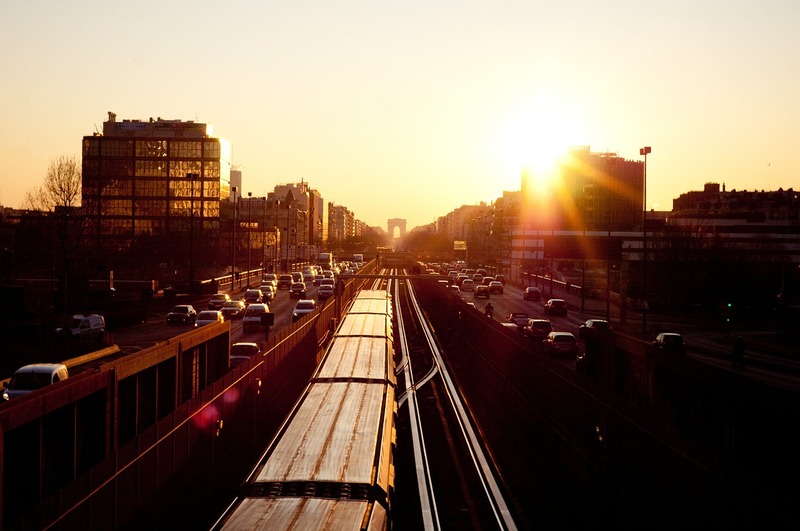 How to get there: Take the train from Montparnasse train station to Chartres (1 hour). Open every day from 8:30 am to 7:30 pm, no entrance fee. Your day trip will be much more fun if you don’t drag your heavy bags around with you. 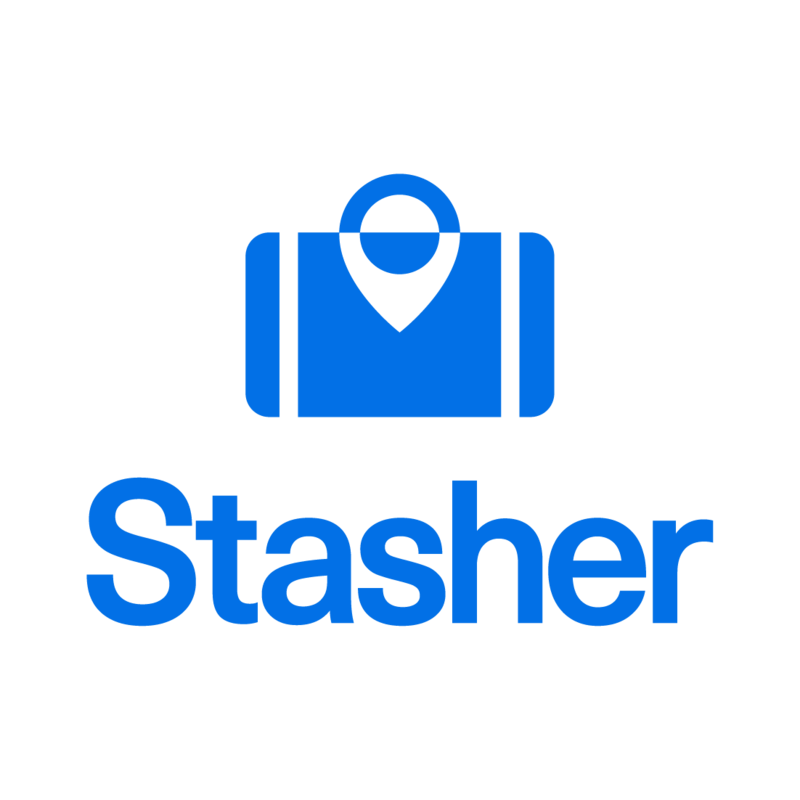 Store your luggage in one of our Paris StashPoints and enjoy your day out! Enjoying your day trips from Paris? This list was compiled by our friend Julie Julien. Julie has been travelling full time since 2016 and is always on the lookout for great destinations and travel hacks. She shares her best travel experiences on her blog Julie Around the Globe and aims to inspire others to travel more and to places less known.